A version of this article first appeared on Splice Blog. Splice, a cloud platform for music collaboration, has really changed the way I work with clients and students alike. I created a working mix project to demonstrate a few tips and hopefully clarify a few common questions. While I do tend to use a good amount of third-party plugins in my work (iZotope, Soundtoys, UA, Fabfilter, Sonnox, Altiverb, etc. ), I thought it would be cool to demonstrate some of these techniques with the indigenous Ableton Live plugins – both for compatibility and simplicity. The song is by Savrsi, a talented Boston-based producer and DJ. One of the most important tasks when mixing is to get the low end right. Kick and bass frequency often overlap and must be managed. The two most important tools here are reductive EQ and sidechain compression. Both the kick and the bass should have the ultra-low frequency trimmed with a low shelf. Typically I apply between .5 and 1 dB of reductive low shelf between 30 and 50 hZ. Many people like to use a high-pass filter, but I find that it eats up too much of the good low end. Also, it's critical to sidechain the sub-bass to the kick so that the sub-bass ducks just a bit when the kick sounds. Not only does this create a bounce in the groove, but it also keeps the speaker from getting congested in the low frequencies. I find that an attack of one millisecond and a release of 30 to 50 milliseconds is a good starting point with a ratio of six to one. Then filter the sidechain input to make a tighter bounce, and adjust the amount of ducking with the threshold to taste. I cannot stress enough the importance of saturation. In the golden age of analog production in the 1970s, there was an abundance of saturation, i.e., tubes, tape, transformers, and the like. Then, as soon as digital appeared, all of the saturation vanished! Now saturation is reappearing in digital form. Saturation creates additional harmonics that thicken the sound and make it richer. An unsaturated mix sounds boring and sterile, while a well saturated mix sounds thick and full. The analog clip flavor in Ableton’s saturator is extremely useful, with the most important controls being the drive and the wet/dry controls. Many people are confused as to how to set up reverb. Too often I see a mix project with 50 reverb on insert of individual tracks. This is not only wasteful in terms of DSP, but it's sonically confusing. Elements that share a reverb have a relatedness that can help unify the mix. Putting a small amount of small or medium room on everything creates an important cohesion. From there, the mixer needs to start to place elements in either the front, middle, or back of the mix. Elements that live in the front of the mix, e.g., lead vocals or melodic lead lines, will typically take a plate reverb. Elements that live in the back of the mix will usually take a hall reverb. These shared reverbs exist on return tracks, and the amount of wetness is controlled by the send matrix. Once in while, it's of course okay to put the reverb directly on the individual element channel, like a kick explosion or dub effect, but for the majority of the mix, the send/return matrix is the proper way to set up the reverb game. Daniel Wyatt has been an audio engineer and educator for 30 years. 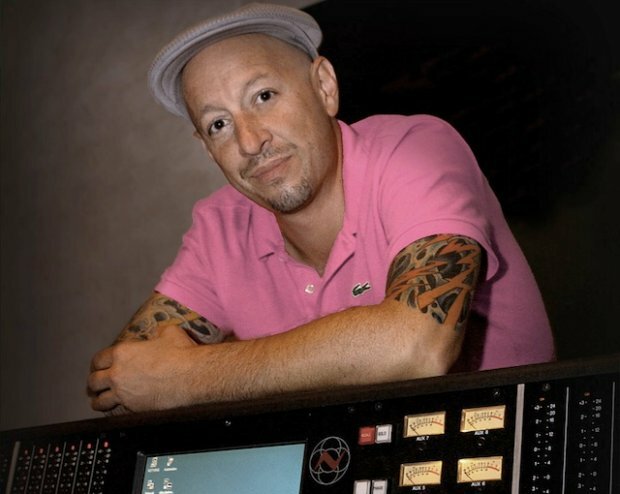 He's taught mixing and mastering at both SAE New York and Dubspot for over 10 years. Check out his website and follow him on Twitter @mixmasterwyatt.